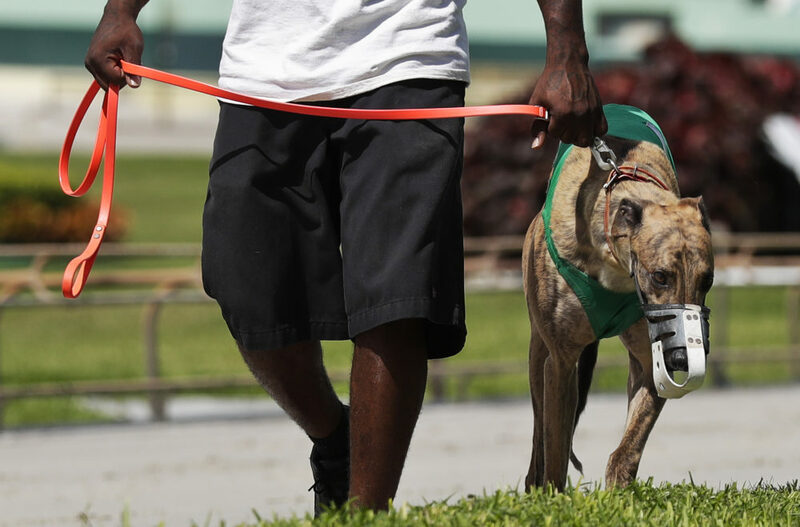 Florida voters on Election Day overwhelmingly approved a ballot measure banning dog racing in the state, which is home to 11 of the country's 17 active dog tracks. Amendment 13's passage means gambling on the races will be phased out by the end of 2020. It also means thousands of dogs will be in need of a new home. 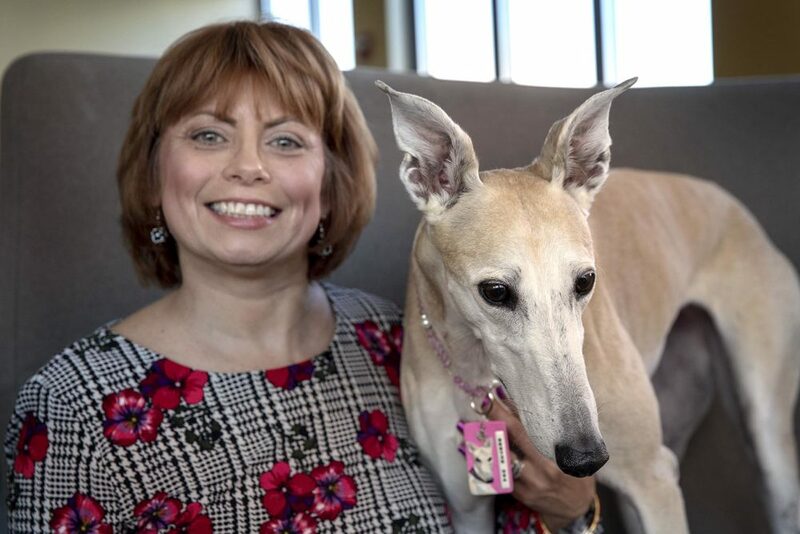 Christine Dorchak, president and general counsel of the group Grey 2K Worldwide, which campaigned against dog racing, calls the ban "the biggest moment for greyhound adoption and greyhound advocacy worldwide in any time." "This is a silver bullet in the cruelty of dog racing," Dorchak tells Here & Now's Elise Hu. "We will see reverberations around the world." The National Greyhound Association, a dog-racing industry group that was against the ban, said in a statement it is "deeply disappointed" by the vote's outcome. "Florida voters have been misled into supporting a measure that not only will cost thousands of jobs in the state, but one that opens the door for future campaigns to force the radical animal rights agenda on the people of Florida through the Constitutional Reform process," the statement read. "The ballot question triggers a phase-out period. In this case it's 26 months. Already one track closed before the question was even brought. Four tracks have decided never to race again. So that leaves seven tracks with about 3,700 dogs. We have hundreds of greyhound adoption groups standing ready around the country to absorb these dogs, once Amendment 13 is triggered." "I congratulate the racing industry for taking responsibility for these dogs. It's a first quite frankly. For years, dogs have simply disappeared. So we're looking forward to working with [Jim Gartland], with groups around the country that are pro-racing, anti-racing, whatever your political persuasion. We all want the same thing: to help these dogs, give them the second chance that they deserve." "These are some of the most gentle dogs you can imagine. I liken them to giant cats. They're extremely calm. They rarely bark." "These dog tracks in the satellite states, they're actually going to have a hard time continuing to exist. Revenues from dog racing according to the racing industry itself are down 82 percent nationwide just since 2001. What these satellite states were relying on were the simulcast ... races happening in Florida were simulcast for bettors in Iowa and West Virginia, and the satellite states to bet on. So that revenue is going to disappear. We're going to see a national industry in catastrophic decline." "What people sometimes don't understand is that these are some of the most gentle dogs you can imagine. I liken them to giant cats. They're extremely calm. They rarely bark. I live in an apartment with four cats and Gina, [a greyhound], and we're about to adopt another greyhound from Macau. So I can tell you that if they weren't easy to take care of, I wouldn't be able to manage my flock. I can tell you that." Chris Bentley produced and edited this interview for broadcast. Francesca Paris and Jack Mitchell adapted it for the web. Horse Racing: America's Most Dangerous Game?